Knowing both the in-app revenue and the ad revenue, ironSource's ROAS Optimizer works out the optimal bid and automatically updates thousands of bids a day, replacing the current inefficient methodology. Leading mobile monetization and marketing company ironSource announced today the launch of its ROAS Optimizer tool. The new tool enables user acquisition managers to automatically bid on dynamic CPI (cost-per-install) rates to reach the desired ROAS goal, solving one of the most painful challenges of user acquisition today of efficient and reactive bidding on a user level. There are three main issues preventing user acquisition managers from executing efficient strategies. First is their limited capacity to update and optimize bids on a large scale. Second is the complexity in finding an efficient methodology to optimize towards true ROAS. Third is the lack of accurate user-level ad revenue data, which would provide them with complete ARPU data to better understand the true value of their users. The launch of ironSource’s User-Level Ad Revenue solution last month gave app developers the ability to accurately measure ad revenue on the user level, and link that data to the marketing channel which brought in that specific user. 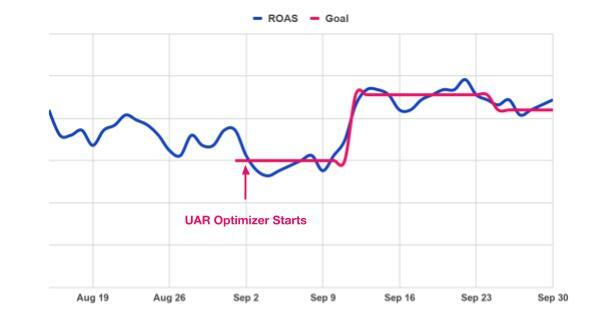 ironSource’s ROAS Optimizer has resolved the other two issues by leveraging the power of the User-Level Ad Revenue solution. Knowing both the in-app revenue and the ad revenue, its algorithm works out the optimal bid and automatically updates thousands of bids a day, replacing the current inefficient methodology. The new tool optimizes towards three data sets: in-app purchases, user-level ad revenue and the combination of in-app purchases and user-level ad revenue. The tool has many features to ensure that it achieves the optimal bid: the tool is very granular, making real-time changes with multi-bids according to multiple optimization dimensions; it instantly analyses new supply that joins the network and implements it into its complex algorithm, speeding up an otherwise lengthy process; it utilizes the insights from ironSource’s mediation to run category clustering which looks for data from similar games to decide on the right bid for each user; and it works on many other dimensions to optimize ROAS. ironSource, the leading in-app video advertising platform, makes free-to-play and free-to-use possible for over 1.5B people around the world. We build technologies that help app developers take their apps to the next level, including the industry’s largest in-app video network. Since only 2% of users pay to play, we provide tools to engage the other 98%. That’s why over 80K apps use our technologies to grow their app businesses, and why we’re working with leading companies like Kongregate, Zeptolab, Big Fish Games, Zynga and Playrix. We care about good creative and making ads as enjoyable as your games, and our designers sit next to our performance team, making sure data informs every creative decision. Founded in 2010, we’re a truly global company, with a strong local presence in Tel Aviv, London, New York, San Francisco, Beijing, Bangalore, Seoul and Tokyo. Read more at http://www.ironsrc.com.